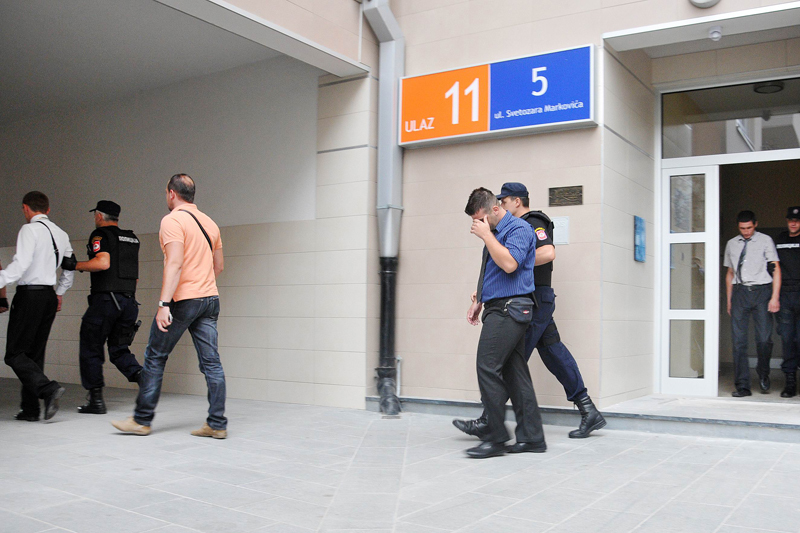 Police in Banja Luka brought in employees of Dumnorr Group on suspicion that they were involved in defrauding investors. Most people would just say “nein” and hang up. But, if you called 40 or 50 firms across Europe offering employees the opportunity of a lifetime, it was enough that only a few people answered “ja” to earn an enormous amount of money. Police say that was the formula brothers Zoran and Goran Samardžija followed as owners of the Dunmorr Group AG, a firm incorporated in Switzerland, that set up a network of illegal call centers in Bosnia and Herzegovina (BiH) last year to trade in shares on the German stock exchange. Every day, a dozen workers in these call centers, using fictitious names of persons and firms, dialed residents of the European Union (EU) promising easy riches. The overall scheme, known as a boiler room scam, worked like this. Dunmorr would buy large amounts of shares in worthless firms that their Bosnian employees then offered en mass to EU buyers. They artificially generated interest in their shoddy shares which then led to their fast rise in value on the stock exchange. After the sales frenzy, interest in the shares slumped again and the shares quickly lost value. Dunmorr”s main call center was located in Ilidža, a Sarajevo suburb. The naive buyers were left, unable to sell their worthless shares to anyone else. The German Federal Financial Supervisory Authority wrote in a 2011 report that the number of complaints about manipulation of shares rose nearly 50 percent compared to the year before. Numerous instances of fraud were related to shares Dunmorr was trading, the Center for Investigative Reporting in Sarajevo (CIN) has learned. The stock exchange was powerless to stop the trade under existing rules that allow for free-wheeling trades through a First Quotation Board, a low regulation exchange service offered by the Deutsche Borse. Exchange officials, citing market manipulation, have since announced the closure of the service in its current form and said changes and new rules will go into effect at the end of the year. Exchange officials say that it is not their job to uncover fraud in share trading. Instead, suspicions about criminal offenses go to police and prosecutors. They have no records about the exact losses buyers of controversial shares have suffered. Over the past month, CIN reporters analyzed dozens of ownership and stock exchange documents, and interviewed defrauded buyers of shares, their lawyers, and former Dunmorr employees, to understand the scope of the fraud. Munich lawyer Dr. Louis Rönsberg said he represents 20 plaintiffs from Germany, Austria, Switzerland and Italy who have lost nearly € 1.5 million. The largest number of victims called him at the end of last year and the beginning of this year. Some contacted him without having filed complaints with police and Rönsberg estimates that just the buyers from Germany alone suffered damages of €20 million. 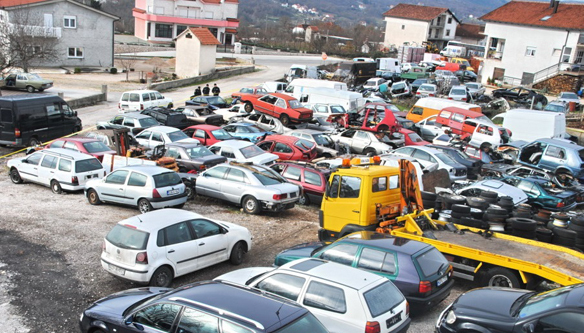 Dunmorr in BiH started doing business in July 2011, and operated for a year before police from the Federation of BiH and Republika Srpska raided the firm’s offices in Sarajevo, Banja Luka and Bihać and arrested 84 employees. The Federation BiH Bureau of Police (FUP) said in a statement that the firm and its employees were suspected of defrauding EU citizens, money laundering and tax evasion. It estimated Dunmorr’s damage to the BiH budget at more than 500,000 KM. 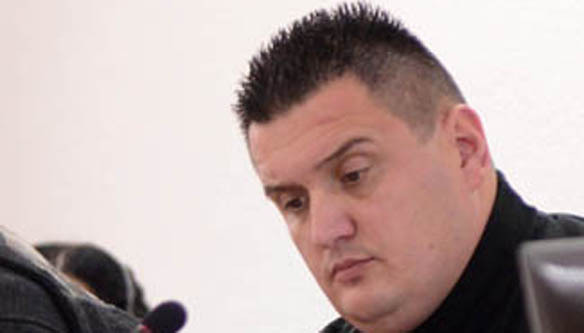 Edin Vranj, head of the Crime Department at the Federation of BiH Bureau of Police, said that the police found equipment for masking IP addresses in the call centers. All but one branch office of Dunmorr worked without a permit. 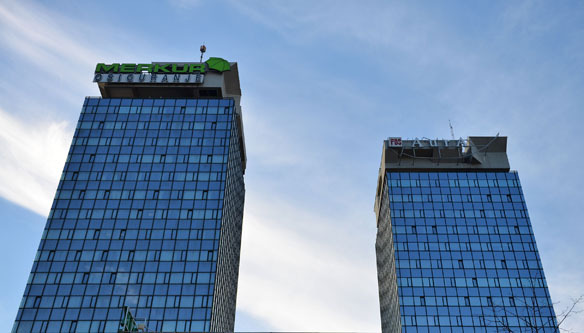 According to paperwork from the BiH Ministry of Foreign Trade and Economic Relations, a Swiss-based Dunmorr Group AG opened just one office in Sarajevo. Most employees were released after interrogation, while some junior managers were kept in jail. Željko Nikolić, director of Dunmorr”s BiH division, was travelling outside BiH at the time of the raid and is still being sought as are the Samardžija brothers. FUP has asked Interpol for assistance in the investigation. In the call centers, police found computer equipment and software used to mask IP addresses. With this equipment, the company was able to make it appear that calls from BiH were coming from EU countries. Edin Vranj, head of FUP’s Crime Division, said the organization had more than 160 employees. The first evidence of Dunmorr’s fraud started leaking out on Internet forums last November, but the general public remained unaware. Forum participants discussed how an organized network of people presenting themselves as representatives of Titan Invest were offering shares of different firms on the stock exchange. They promised enormous profits in the resale of shares. Most used telephone numbers from Monaco, London or Switzerland. However, one forum participant using the name Johanna, wrote that she was a victim of Titan Invest, but that the call to her came from Sarajevo. Johanna wrote about how behind this call was a Swiss company, the Dunmorr Group. It turns out that Titan Invest indeed exists in Switzerland and that its name was used without permission. Dunmorr Group was founded in 1997 in Glattburg in Switzerland under the name of Selab. Zoran Samardžija became a member of the firm’s Board of Directors in 2009, and at the end of 2010 his brother Goran invested more than a million Swiss Francs into the firm, thus becoming its majority owner. The company’s headquarters is listed as being in Zurich. Dunmorr’s Zurich headquarters located at the office of a lawyer who is a long-time member of the firm”s management. The former owner, Swiss lawyer Martin Grossmann, remained on the board. The firm is registered at the address of his office. Grossmann did not want to discuss Dunmorr’s business dealings with CIN. Thirty-six year old Goran Samardžija has a home in New Belgrade in Serbia, while his brother Zoran, four years younger, lives in Dusseldorf. According to incorporation documents, both hold BiH citizenship. Before buying Dunmorr, Goran Samardžija was the owner or director of five firms in Serbia and Germany. Among his companies that don’t exist anymore is Stonehard Consulting, a firm which the Swiss Financial Market Supervisory Authority blacklisted in Nov. 2009 with a warning that it did not have permits needed to do business in Switzerland. After the takeover of Dunmorr in Feb. 2010, the Samardžijas opened a representative office in Belgrade, and in July 2011, one in Sarajevo. Soon after, they started calling customers. The Belgrade office was shut down just two weeks after the police action in BiH. Rönsberg said that his clients fell victim to the scam between September 2011 and February 2012. Oliver Fischer, owner of IT Consulting in Berlin is one of the plaintiffs Ronsberg represents. Fischer told CIN that he was called a number of times between mid-October and November 2011 by a man who identified himself as Aleksander Markus. He seemed to call from England, sometimes Monaco. Markus said that he called on behalf of Titan Invest and suggested Fischer buy shares of an interesting firm Ultimaxus, he said. Dunmorr”s employees tried to convince victims using fake documents that shares of a worthless stock called Ultimaxus were going to rise in value. In mid-November, Markus gave him the false information that GDF Suez was about to acquire Ultimaxus which would lead to a three-fold jump in the value of shares. Considering that the price of Ultimaxus shares had fallen from €5.2 to €1.8 per share at the time, Markus told him that this was an ideal moment to buy. Markus also sent a paper that confirmed that the bill of sale had already been concluded. “After I bought the shares he never called me again,” said Fischer who invested more than €3,000 in Ultimaxus. Three days after the purchase, a man calling himself Maximilian Faber phoned and introduced himself as the head of Titan Invest. At the time, the price of Ultimaxus shares was plunging. “He told me that the ratio of my shares will increase 3:1 only if I buy at least 10,000 more of Ultimaxus’ shares. Then I realized that this was fraud,” says Fischer who reported the case to the police in Berlin and to the German Federal Financial Supervisory Authority. He said he never heard anything more about the progress of any investigation. Shares of Ultimaxus were worth only € 0.06 this February. C.A.F. van Erp from the Netherlands told a similar tale. He said that he had lost €34,500. He was called by Robert van Zuydewijn, supposedly an employee of Titan Invest, who in fluent Dutch offered him shares of a Swiss-based Societé Immobilière Iris Rochers Bleus with a promise of receiving quarterly an interest of € 312. In Dunmorr’s abandoned branch office in Banja Luka the computers used to call potential buyers in the European Union can still be seen. When the first installment was three weeks overdue, a certain Vincent Sterk called saying he was standing in for van Zuydewijn. He apologized for the delay and to smooth things he offered van Erp shares of Eccor Solar Inc. He promised that he would advise him when to buy and when was the best time to sell those shares. Van Erp thought that this could be a good deal because he was told in ABN AMRO bank, one of the biggest Dutch banks, that Titan Invest was a Swiss firm with more than 35 years of experience and could be trusted. In February 2012, the Dutchmen bought the shares of Eccor Solar on the Frankfurt stock exchange for more than €19,000. The price of a share was €2.5 at the time. Van Erp said that he did not regularly check the stock exchange because he was waiting for Stark’s call about when to sell. He never called again, and when van Erp did look at the stock exchange, the value of his shares was plummeting. “The value of shares fell to €1.50. Just a half hour later it fell to 1.20, and another half hour later it fell to 55 cents. It was going down like a rocket,” said van Erp, who right away tried to get in touch with Stark. “One young lady who spoke very bad Dutch picked up the phone. Her accent sounded as if she was from the Balkans. The number I called I got from Vincent Stark and that was a Swiss number. The lady gave me another number, also from Switzerland. Every time I would call, this young lady answered and apologized saying that Vincent Stark was very busy,” said van Erp. Several days later no one was answering the phones. Damir Glišić, who lived during the Bosnian war in Germany, got a job in Dunmorr ‘s Sarajevo office. He worked in October and November of 2011. He told CIN that employees were allowed to speak only in German. “It was strictly forbidden to speak Bosnian in general, in the firm and outside of the firm. During the breaks you could not talk in Bosnian,” said Glišić. Damir Glišić, a former Dunmorr employee, said he and co-workers called the buyers from BiH, but displays on these buyers’ phones would show telephone numbers from London, Monaco or Switzerland. Glišić said that they called their victims via the Internet. They would introduce themselves as employees of Titan Invest, and later as employees of Finata. When he left Dunmorr, Glišić heard from his former colleagues that the names of other companies were in use, but he did not know what they were. “If a client asked ‘Where did you call from?’ you would lie that you called from London, or Monaco, or Zurich – anywhere where important financial centers are based. You had to present yourself with a German first and last name which you made up or a firm chose for you,” explained Glišić. Employees had to call dozens of companies across the EU every day to introduce the firm and to offer them financial advice for stock exchange deals. Forty Bosnians worked in the Sarajevo office. Glišić said that employees had to get potential clients interested and to enter the information about their contacts into a database. Employees, who were called brokers, used this database, trying to get clients to buy shares in certain companies. “You could become a broker if you had a gift of the gab – if you had over 200 calls a day and made over 20 contacts a day,” said Glišić. If someone bought shares, the employee who made the contact and the broker who suggested a stock were awarded with a percentage of the invested money. “The basic net salary for employees of the call center in Sarajevo was 900 KM. Brokers received 2,000 KM,” explains Glišić. Glišić said after he realized the company was engaged in criminal activity, he quit. He said that the police had not yet gotten in touch with him, but he was ready to testify. From the beginning of this year, suspicions about manipulation in the First Quotation Board abounded. The First Quotation Board was a part of the free market in shares on which Ultimaxus and Eccor Solar shares were traded. On this market the stock exchange requests the least information about the firms and exercises the least oversight. Share prices of the near worthless Ultimaxus PLC rose through sales to unsuspecting customers and then plummeted when their real value became known. Leticia Adam from the Press Office of German Stock Exchange explained to CIN that firms on this level have no obligation to submit annual reports or financial statements. She explained that on several occasions they asked the firms in this market to submit additional information hoping that this would dispel suspicions about manipulations, but this did not happen. The German Federal Financial Supervisory Authority in its last report said that 166 instances of share fraud were reported during 2011 or 50 percent more than a year earlier. The Authority already received 122 complaints in the first six months of this year. Authority spokeswoman Dominika Kula said that some 85 percent of the complaints regarding the stock exchange manipulations were related to the First Quotation Board.